Toshiba Electronic Devices & Storage Corporation (“Toshiba”) has released a dual MOSFET “SSM6N813R” with high ESD protection positioned for use in automotive applications, including as a driver IC for headlight LEDs, which require a high withstand voltage and a small footprint. Mass production shipments begin in April. A maximum drain-source voltage (VDSS) of 100V ensures that SSM6N813R is suitable for headlight applications requiring multiple LEDs—a capability supported by high ESD immunity. 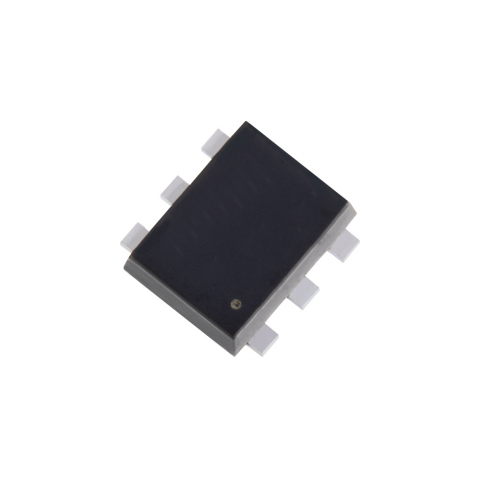 Fabricated using the latest process and housed in a TSOP6F package, SSM6N813R has an allowable power dissipation of 1.5W and low on-resistance. In addition, the footprint of the TSOP6F package is 70% smaller than that of an SOP8 package. Follow the link below for more on Toshiba’s latest small low-on-resistance MOSFETs.